Musement shares some tips for surviving Mardi Gras. From medieval French-European Carnival roots to a secret-society-turned-aristocratic-balls-and-parades, to the celebrations we all know and love today, Mardi Gras is an annual celebration in New Orleans that is steeped in history. If you were just expecting a good street party, New Orleans won’t disappoint. Although, be sure to read these 5 tips to be sure the good times keep rollin’! 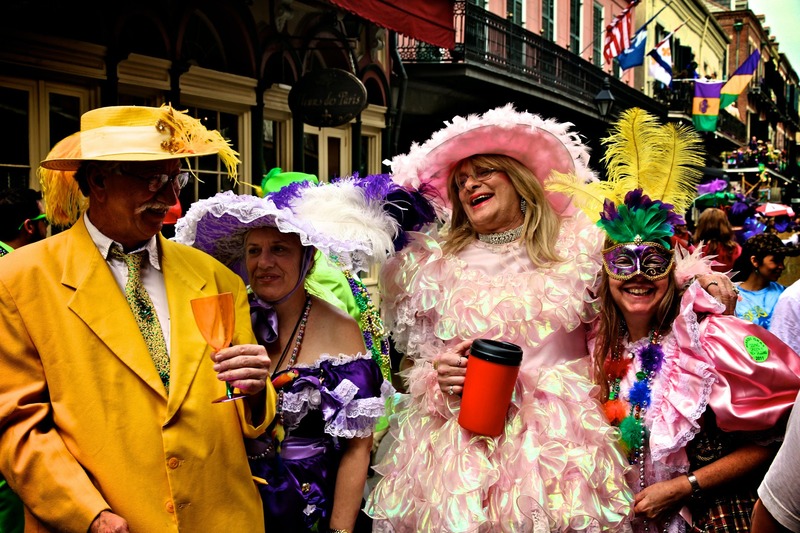 Despite what some may assume, Mardi Gras is not just for adults only …you can bring the kids! In fact, you are encouraged to do so to enjoy Family Gras, a two-day festival that runs from 2-3 February. Explore the surrounding area with diverse New Orleans cuisine, art markets and the Kids’ Zone with interactive games and face painting. A natural first response to the festivities of Mardi Gras may be to dive head first into the party atmosphere: Getting rowdy with the crowd, shouting to people atop parade floats for prizes and dancing in the streets. All these activities are of course encouraged, although if you want to truly party like a local, pace yourself so that you can carry on for days instead of burning out early. Respecting the police, acknowledging the parade barriers, drinking responsibly and keeping your clothes on (in public) for instance are great places to start…because Mardi Gras is, after all, for families. Due to its Carnival roots, it is traditional to wear a costume for Mardi Gras. Dress up as whoever you want, whether that be a pop star, nurse, superhero, or big baby… catch the costume fever and arrive in New Orleans in style. Note: Check the weather to make sure that you and your family dress appropriately as there is nothing worse than discomfort while you are trying to have fun! DON’T pick up the beads on the street! With parade floats and crowds filling the streets at all times of the day and night, it’s just not a good idea. Keep your head up always! Having said that, look out for children who may not understand the danger. Make it your mission to catch things! Yell to float captains for something and they will throw you beads, cups, stuffed animals and more. Finally, setting a designated meeting place for your group is always a good idea. If anyone gets lost, you can find each other in no time and get back to the party! This may seem like a no-brainer, but knowing what is happening and when can be a bit more puzzling. Despite the justified allure towards the charming French Quarter, no Mardi Gras parades actually pass through this area. Check out the official schedule with the parade routes here and plan accordingly.